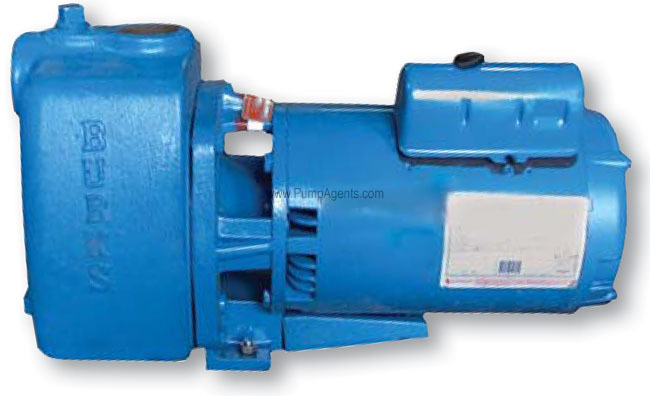 Burks catalog # 15WA6, Self Priming Centrifugal Pump and Motor unit. Bronze Fitted Cast Iron Construction w/ Plastic Impeller. Close Coupled to a 1-1/2 Horsepower, 3450 RPM, 115/230 Volts, 1 Phase Motor. Ports are 1-1/2 Inch NPT Inlet, 1-1/2 Inch NPT Outlet.